Purpose: a social service and spiritual organization. It exists to promote Christian fellowship through social gatherings and to encourage involvement of the women in our parish and to provide modest financial support to our parish. Mission: To enrich members spiritually and to support the parish and the extended community. Vision: To be a positive force for good works in both the church and the extended community. Dues: $10.00 a year annually to be paid in October. Membership: Is open to any female registered Corpus Christi parishioner 18 years of age or older. Regular Meetings: Once a month, the second Wednesday of each month. Rescheduling and canceling of meetings will be by notice in church bulletin. 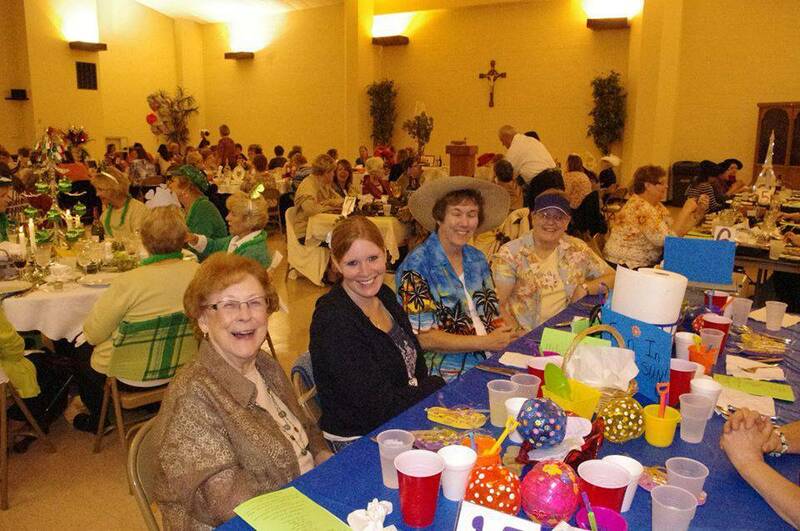 Meeting Agenda: Corpus Christi Ladies Club ladies assist in many important and fun activities. The spiritual word is shared through readings; prayer is an important part of daily life and is incorporated with each task. Today the ladies sew, do the laundry of the alter linens, decorate the church, teach PSR(Parish School Religion), volunteer for various jobs during the chicken dinner, handle the funeral luncheon, help with the Trunk-r-Treat activity for the children of the parish, set up and run the annual rummage sale, make fleece tied blankets for the parishioners suffering from illness, and collect items for the Pine Ridge Indian Reservation in South Dakota, and for total fun and enjoyment have a Christmas party and ice cream social. Any task or duty that is asked is never considered too small, too big, or too difficult or manageable.